Jason Luckey, 42, of Marathon went to be with the Lord on Saturday December 1, 2018. Jason was born on September 19th, 1978 in Elmira, NY, son of Louis and Drusilla (Nurmi) Luckey and grew up in Marathon, NY. Jason’s greatest joy was being an uncle to his six nieces and nephews. 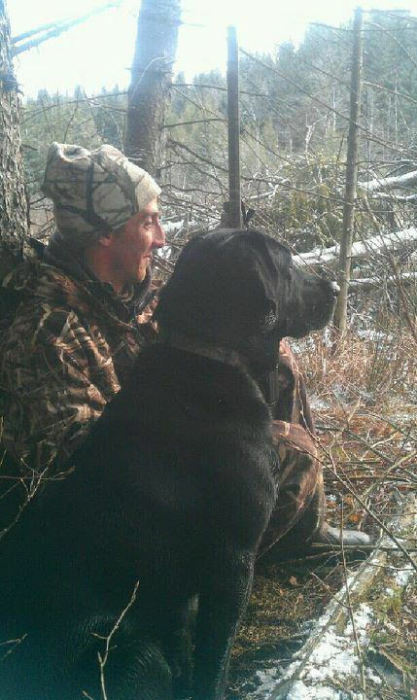 Jason was an avid hunter and spent the last 20+ years in dog breeding for hunting and field trail. He prided himself in his dogs and the joy he could bring to families through them. Jason began his love for animals as a teenager working at a local farm. He worked in the farming industry for over 15 years before changing careers as a union laborer. Jason was an extreme outdoorsman and was involved with organizations such as Ducks Unlimited. Jason is survived by his parents Louis and Drusilla (Nurmi) Luckey, his brothers Matthew (Jilayne) Luckey, Michael (Kelsie) Luckey, sister Becki Luckey, nieces and nephews Elizabeth Luckey, Caylee Luckey, Ethan Luckey, Alan Luckey, Tucker Luckey, and Sawyer Luckey. Jason is also survived by many aunts, uncles, and cousins. The family will receive friends at the First Baptist Church of Marathon, 5 Park St. Marathon, NY 13803 Wednesday December 5, 2018 from 5pm until service time at 7pm.